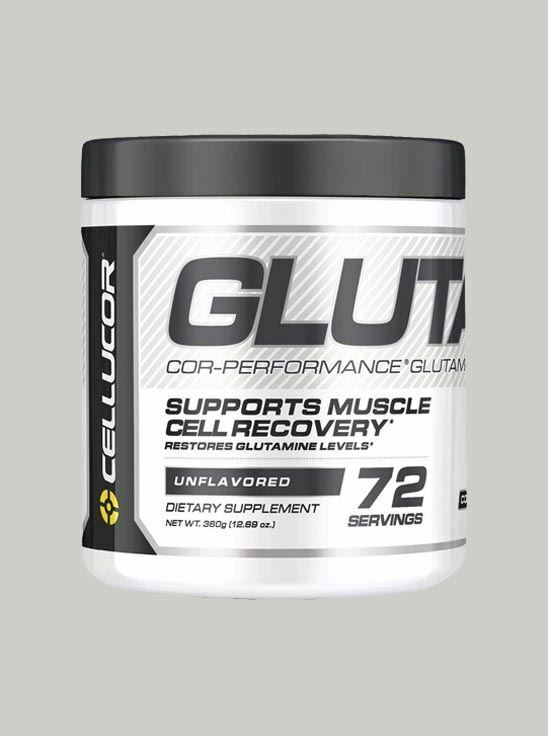 SUPPORT MUSCLE CELL RECOVERY Glutamine, the most common amino acid found in muscle tissue, is a conditionally essential amino acid. Consumption of Glutamine before, during and after exercise may support extended performance. While Glutamine is naturally found in foods like meat and eggs, supplementation may be necessary to meet requirements to maximize performance. Q.1 What is COR Performance Glutamine? Cor-performance glutamine contains L-Glutamine which promotes muscle recovery, helps restore Glutamine levels and thus improves training performance. Glutamine is a non-essential amino acid, most abundant in the human blood, and is in great demand throughout the body due to the fact, that it is involved in three of the most crucial elements of the body - the brain, the GI tract and the immune system. In physically stressful situations such as intense or long duration exercise, there is a huge depletion of glutamine stores. Since glutamine plays such a vital role in the metabolism of the body as stated above, the body does not tolerate low levels and starts catabolizing skeletal muscle for more glutamine. This is so because the body would rather bear up with skeletal muscle catabolism than risk survival. Since skeletal muscle has a direct bearing on human physical performance, sports nutrition cannot allow catabolizing of skeletal muscles for glutamine. Glutamine prevents catabolism of muscles, promotes anabolism, boosts immune system and enhances glycogen storage in muscles. Q.3 What’s the best time to Cor-performance Glutamine? The best time to take Glutamine is post-workout and bed-time, with 5g as the ideal dosage. Q.4 Is Cor-performance Glutamine safe? It is completely safe to consume as it is one of the non-essential amino acid which body can prepare on its own. However, in an exercising individual the requirement of glutamine increases hence supplementation is must. Q.5 I have just joined gym can I take Cor-performance Glutamine? But first make sure you fulfill your basic protein requirement. Q.6 Can I take Cor-performance Glutamine with BCAA? 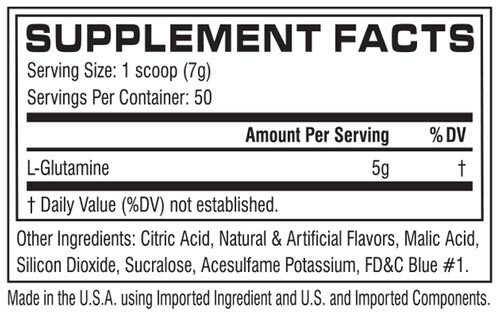 BCAA with Glutamine provide an anabolic as well as anti-catabolic effect and help in muscle gain. Q.7 Will Glutamine help me gain muscle mass? 60% of total amino acid pool in muscle is made up of Glutamine. It does not play a role in muscle protein synthesis. But has an anti-catabolic effect under stressful condition and prevents breakdown of existing muscle mass. It is an anti-catabolic amino acid. Q.8 Is glutamine found in natural foods? If so, then which? The foods that commonly contain glutamine include beef, fish, poultry, eggs, legumes, hemp seeds, and dairy products.